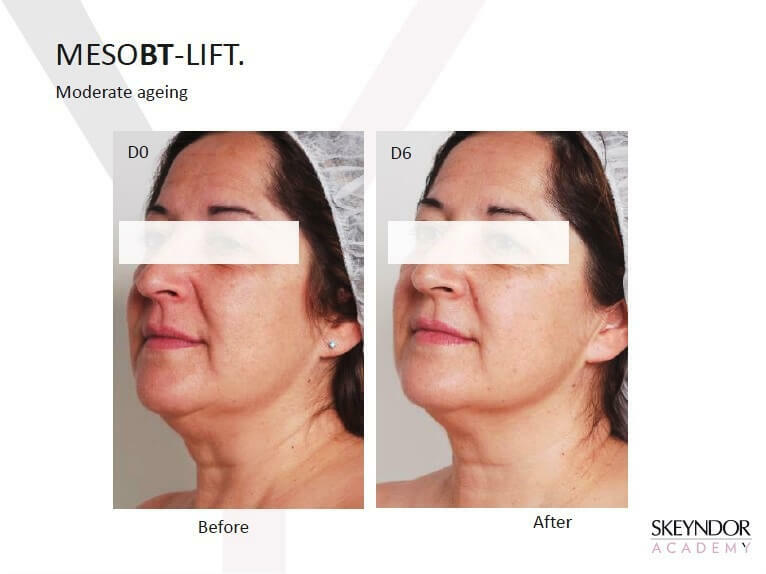 WHAT IS MESOSCIENCE or VIRTUAL MESOTHERAPY? Using electrical currents, it’s a non-invasive skin penetration method which allows active ingredients to penetrate the skin’s deeper levels. The ingredients are provided in an aqueous solution but they do not have to be ionic, hence there is wider range of active ingredients. 1) Line filling using Hyaluronic Acid at the cell level to smooth and firm lines and wrinkles. 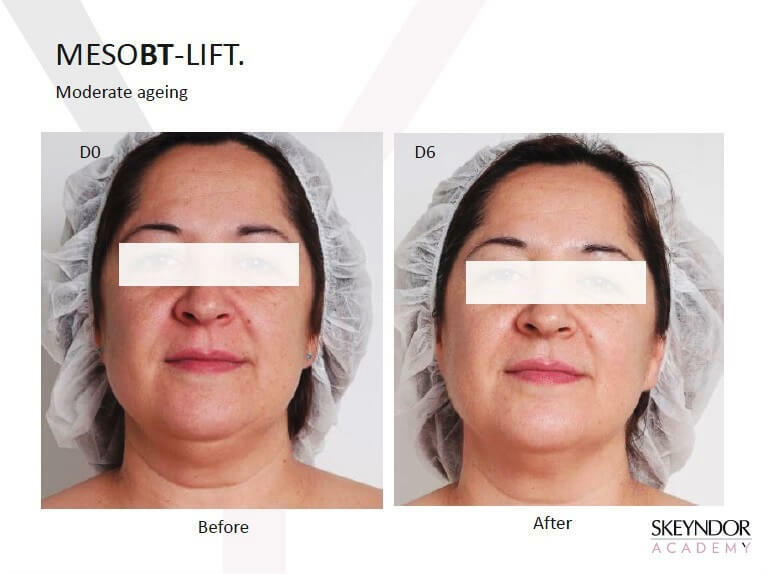 2) Micro & Macro Face Lifting at different depths which lead to a noticeable lifting sensation in three dimensions. 3) Removal of Cellulite and Stretch Marks. 4) Firm the skin in areas such as the thighs, abdomen and arms, restoring collagen and elasticity to the skin. 5) A non-invasive tummy tuck. 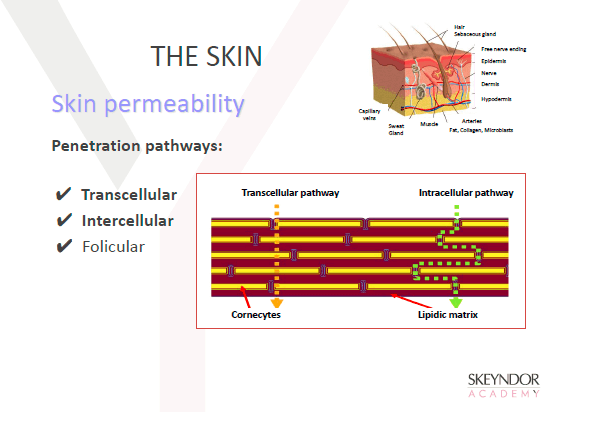 6) Removal of pigmentation marks and regulation of Melanin production. 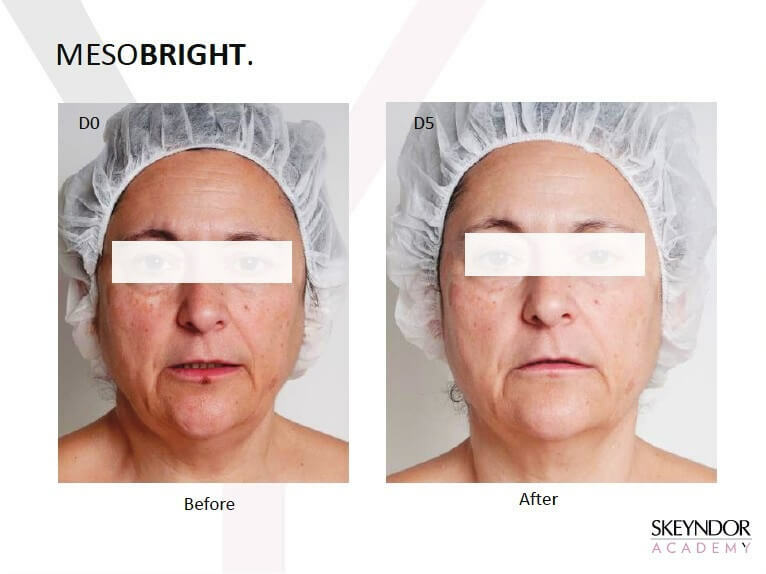 Mesotherapy can be broken down into five categories: Mesoscience, Mesofiller, Mesolift, Mesoslim and Mesobright. 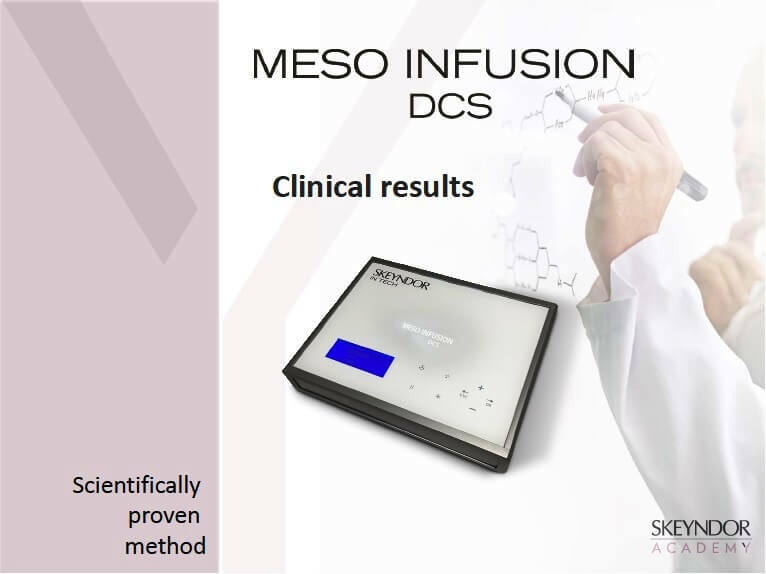 The Mesoscience equipment has been designed to carry out aesthetic therapies with chemical products (cosmetics) using Iontophoresis, Hydroelectrophoresis and Electroporation techniques, also known as Mesotherapy or “Virtual Needle”. 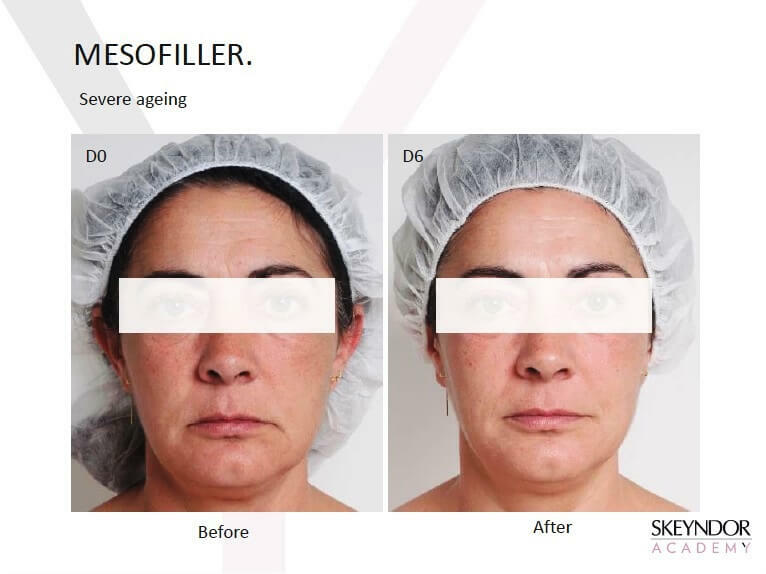 Skeyndor’s Mesofiller is a non-invasive alternative to Injectables. 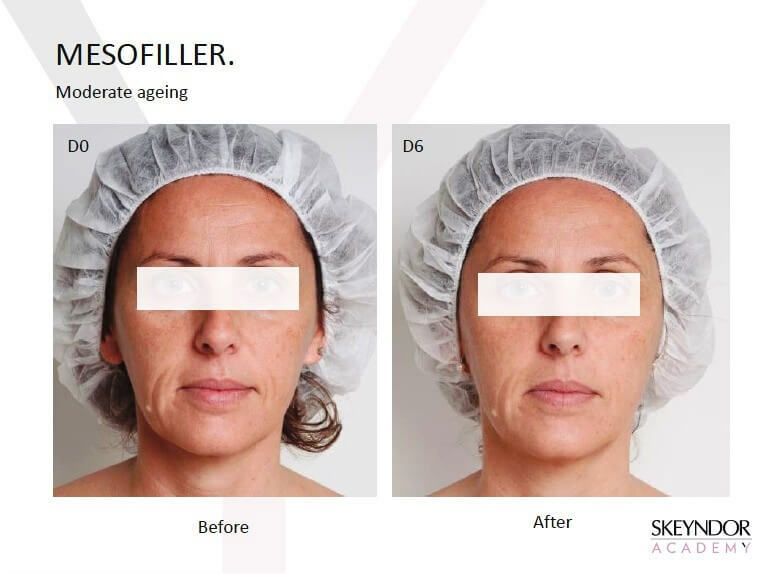 Delivering Hyaluronic Acid at cell level to smooth and firm lines and wrinkles, whilst providing an instant lift. A course of 6 to 10 treatments (1 per week) is strongly recommended for best results. The recommended minimum would be 6 treatments, and the recommended maximum would be 20 treatments. Skeyndor’s Mesolift contains 2 phases that produce multiple lifting effects of progressive intensity (micro and macro lifting) — this is done at two different depths leading to a noticeable lifting sensation in 3 dimentions. 2 new Biopeptides work in synergy to relax tension and soften features. 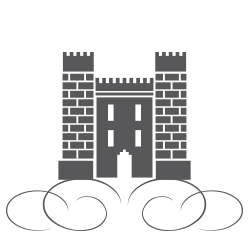 It is recommended that a minimum of 6 1 hour treatments are completed. Mesoslim fights against stubborn fatty areas, remodels the figure and reduces cellulite and oedema. Ideal for all skin types with cellulite and liquid retention, and also flaccid skins, active ingredients include laminaria, sea fennel extract and decapeptide. 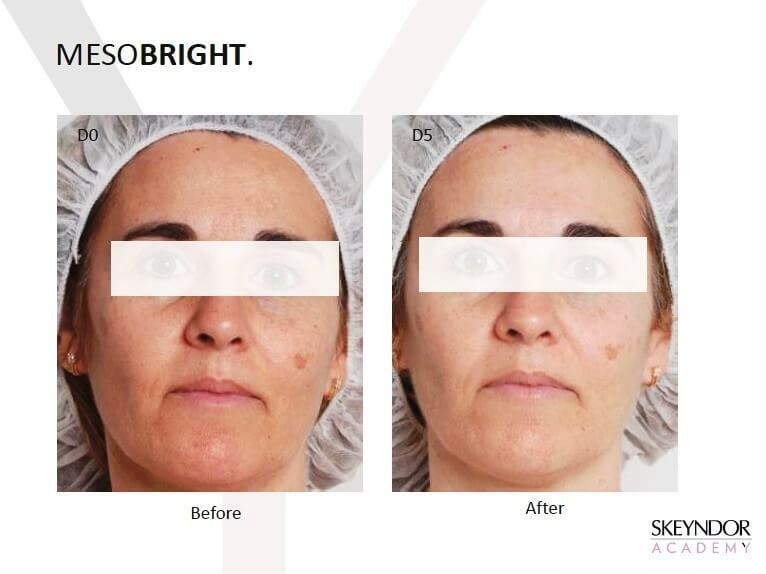 Mesobright program provides immediate brightness and vitality to the skin. High in vitamin C, it’s powerful highly absorptive, anti-oxidant ingredients make for an even skin tone and help to reduce and slow down the signs of ageing — restoring facial radiance and a youthful appearance.